The challenge of appealing to the tastes of increasingly busy, plugged-in consumers has stymied many of the country’s most popular restaurant brands, but Kevin Ricci and the Covelli Family Limited Partnership have helped Panera Bread solve the puzzle. Ricci operates the partnership – which is part of his family’s Covelli Enterprises, one of the top 10 restaurant franchisees in the country – in and around the Tampa Bay and Orlando areas, where he oversees 77 of Covelli’s 300 Panera Bread locations. The fast-casual brand has seen steadily rising profits over the last several years, and Ricci says they are keeping up with customers by introducing features like online ordering and delivery as well as a 100 percent clean menu. “These enhancements have allowed customers to customize food to meet their taste and dietary needs while enjoying overall faster service and shorter wait times,” Ricci says. This result caught the attention of Jeff Gigante and his Ciccio Restaurant Group, which is now partnering with Ricci to expand CRG’s Fresh Kitchen brand across Florida. “We are able to pair their passion for food and innovation with our expertise in operations and real estate development to create a great team,” Ricci says. 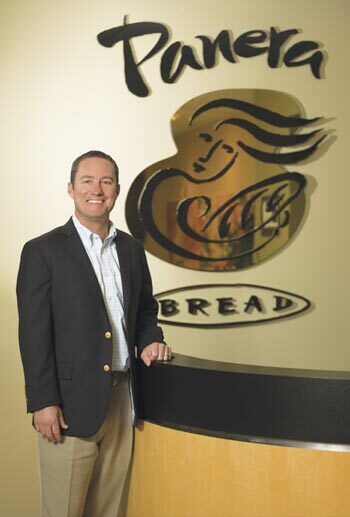 Ricci has also helped ensure Tampa Bay Panera Breads stay true to the company’s mission to give back to the community. Customers can donate to local charities right at the register, and bakery-cafes donate unsold bread and baked goods to local food pantries each day. He says he is most proud of the Panera Bread Knead for Knowledge Scholarship Program, which, through a partnership with the Children’s Cancer Center, has awarded over $326,000 in scholarships to 105 students who have battled cancer or a chronic blood disorder. Your family has owned and operated locations for over 20 years and now have over 300 bakery-cafes in the U.S. and Canada and 30 here in Tampa Bay, making Covelli Enterprises one of the top five largest restaurant franchisees in the country. Why has the company stayed with the Panera concept for so long? We have always believed in the longevity and direction of the brand. The company has strong top-management leadership and a CEO who has been there from the beginning. We continue to see growth potential through new markets and future locations. Panera is incredibly focused on understanding its customer and elevating the dining experience through food and technology. It is a concept and culture that truly cares about its customers and is always looking at the bigger picture of how to improve each and every experience. Just as important, these attributes have allowed us to attract top-notch people who are excited to work at Panera. In recent years, the food and beverage industry has had to cope with rapid changes in the way people approach dining out. What is Panera doing to keep up with the demands of diners? We have been able to stay ahead of the curve by opening up new avenues of technology. It is an evolving trend that people have less and less time; our customers want more options with little friction. We now offer online ordering, mobile ordering and rapid pick-up at all of our cafes. We have also added drive-thrus, fast lane kiosks and delivery at select locations. Additionally, our clean food campaign unveiled a menu that is 100 percent clean – with no artificial preservatives, sweeteners, flavors or colors from artificial sources. These enhancements have allowed customers to customize food to meet their taste and dietary needs while enjoying overall faster service and shorter wait times. 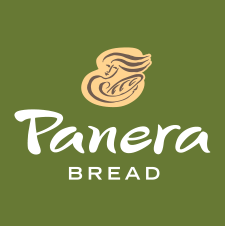 In 2015, Tampa Bay area Panera Bread locations donated more than $3 million worth of unsold bread and baked goods to local food pantries, and Panera encourages customers to donate money to a variety of local charities right at the register. Why is giving back to the community so important to you and the rest of the Panera Bread team? It has been in our DNA since our company was founded. I was raised with a strong moral responsibility to give back to the community and consider this to be one of the most important missions in my personal and professional life. Our customers and employees get behind the causes, which brings a real sense of humanity to a large business. Our charitable campaigns keep people excited about giving back; it gives them more of a purpose to come to Panera. I have been inspired by the generosity of our Panera customers over the years. We are very fortunate to be able to use our scale and amazing customer base to make a difference in the Tampa Bay community. The Covelli Family Limited Partnership recently teamed up with the Ciccio Restaurant Group to open Fresh Kitchen locations across Florida. Why did you choose to get involved with that brand in particular? Initially, my family and I were already good customers of Fresh Kitchen and loved the brand. It was my wife, Kerry, who first introduced me to Jeff Gigante after they met while volunteering at the Children’s Cancer Center. There was an instant connection with the Ciccio Restaurant Group (CRG) and their Fresh Kitchen concept. We are able to pair their passion for food and innovation with our expertise in operations and real estate development to create a great team. The Fresh Kitchen brand fits with our core values; excellent food focused on fresh and high quality ingredients. I also like that it is quick service with no alcohol while maintaining a wholesome environment and experience. We both feel like there is a vacancy in the marketplace for this type of service system offering high quality chef driven food. CRG is an outstanding team of people, and I have thoroughly enjoyed collaborating with them. Most importantly, I feel comfortable working with them as partners. What’s next for Panera Bread in the Tampa Bay area? We are going to continue to grow our delivery business. We currently have 11 of our cafes offering delivery, and we look forward to bringing this new convenience to more of our customers. Additionally, you are going to see drive-thrus being added to existing bakery-cafes where they make sense and are logistically possible. Although the market is fairly saturated, there is still potential for new store growth in the Tampa Bay area. We intend to keep growing the Panera brand in the manner that benefits our customers the most. What charities or non-profit organizations are you personally involved with? While we try to help as many local charities as possible through our Operation Dough-Nation Program, I feel especially connected to some of our large community partners, including the Children’s Cancer Center, St. Joseph’s Children’s Hospital, Moffitt Cancer Center, A Kid’s Place of Tampa Bay, LifeLink and Feeding Tampa Bay. From fighting childhood hunger in our own community to helping abused and neglected children find a loving home, we work hand in hand with each of our community partners to maximize our giving. I am extremely proud of the Panera Bread Knead for Knowledge Scholarship Program that we launched with the Children’s Cancer Center five years ago. To date, we have been able to award $326,500 in college scholarships to 105 students who have battled cancer or a chronic blood disorder. Despite the challenges they have overcome, many have chosen their particular career paths with the end-goal of giving back. It is this type of pay-it-forward thinking that makes campaigns like this a priceless investment in the future of our youth and the Tampa Bay community. Who in the Tampa Bay area do you admire professionally? I admire all of the pediatric oncologists I’ve met through our partnership with the Children’s Cancer Center. One person in particular who has made a lasting impact on me is Dr. Mudra Kumar, a pediatric hematologist/oncologist at the University of South Florida Medical Center. In addition to her emotional stamina and medical expertise, I admire her ability to share her wisdom with others. She is always teaching and genuinely cares about the children she treats, their families, and also the medical students whom she mentors. She is an unsung hero at the Children’s Cancer Center, too, where she serves on the board of directors and volunteers her time at many of the oncology support groups. Her inspiring optimism and charismatic demeanor have and will continue to be a source of inspiration.